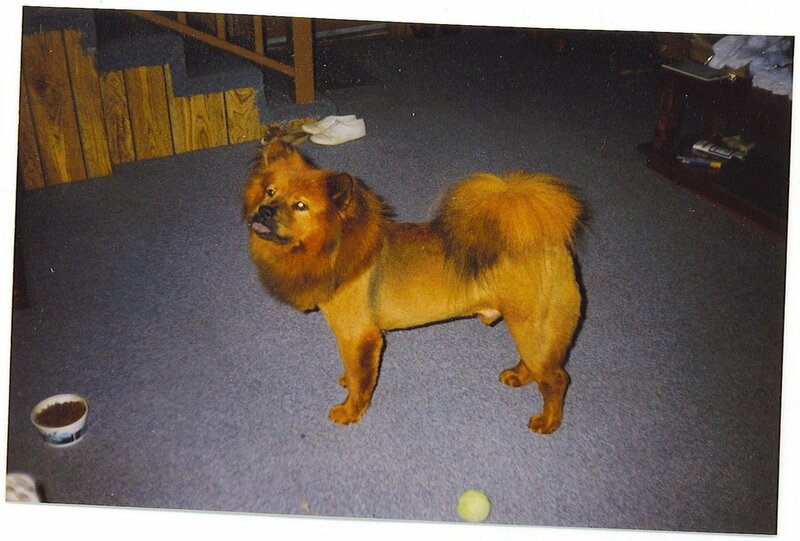 I have attached a pic of my Chow, Rex. Morning Everyone! Sorry, no time, but my daughter is graduating pre-school today!!!! So I won't be around! Sorry, kat! I had wanted to comment on CotD, but I only had time enough to go on 1 site, and I needed to post! momsbusy, it was so great of you to take in Rex even though he had medical problems! You are the best type of pet owner!!! Yay for Shirley!!!!!!!!! Our neighbors have two chows, both rescue dogs. They are very well-behaved dogs. However, I think our neighbors indulge them a bit too much as they are both rather large (the dogs, not the neighbors LOL)...and it's not all fur though there is plenty of that too. I agree, so great that you took Rex in and gave him love. 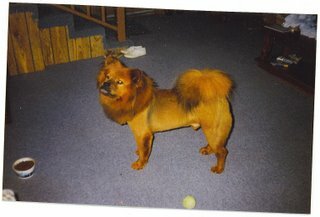 My Dad, years ago, had a dog that was part Chow and part husky and was red and beautiful like Rex. My Dad would sit in the back yard and King would sit next to him while Dad rubbed and petted and spoke loving words. 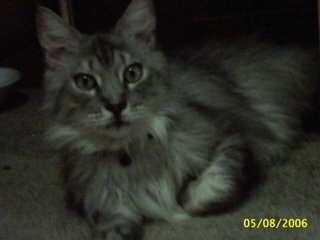 Mom and Dad went somewhere one day and when they got back King was dead laying in his spot next to the chair. I can't remember how old King was when he passed but it seemed like he was around forever. I think, like Rex he lived beyond the years a chow usually lives. Thinking about it, I think he lived to 17. Can't be sure though. Thank you for sharing Rex with us Shirley. He looks like he returns his love to you. He has a right to be vain, a very handsome boy indeed. Wow, Shirley. He looks yellow in this pic! I love his little...er big purple tongue sticking out! Cute! And his tail! It looks like a feather duster! So great he got his forever home w/you! Hi Rex! I love Chows! They have soft fuzzy ears and I like to hug them around their big furry necks. Rex is lovely. I'm glad he has such a loving family to care for him now. thanks everyone for all the kind comments about rex. he really has been a wonderful addition to our family. of course the picture was taken when he didn't have any grey around his muzzle. he still looks good for an old man though. I feel sorry for him not being able to see very well. i know he misses chasing birds and those rotten old squirrels out of the yard.